Update: John was located in Sparks, Nevada on Friday evening and is fine. He was found by family members who were assisted by Sparks police, said Sgt. Alan Salter, of the Reno police department. 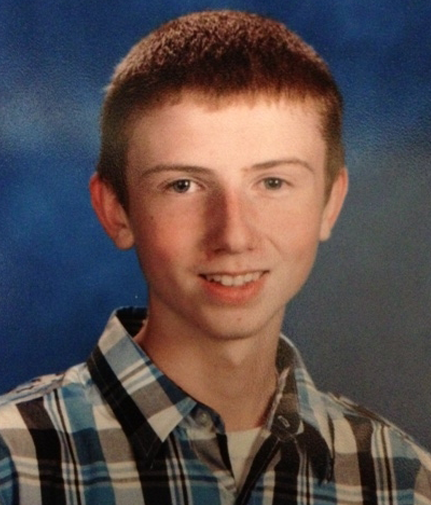 John Armitage, 16, is missing from Reno, Nevada. On Dec 6, he left a message on his Facebook page that said, “Uhhhhhhhhhhhh Bye foreverr (:” that caused the authorities to be concerned about him and they have listed him as endangered. John was last seen on Thursday around 7 a.m. getting on the bus to go to school but he never made it there. John was last seen wearing a light brown hooded sweatshirt, dark jeans, black Vans shoes with a plaid pattern and a gray backpack, reports KTVN news. If you have any information about his whereabouts, please contact the Reno police at 334-2115.